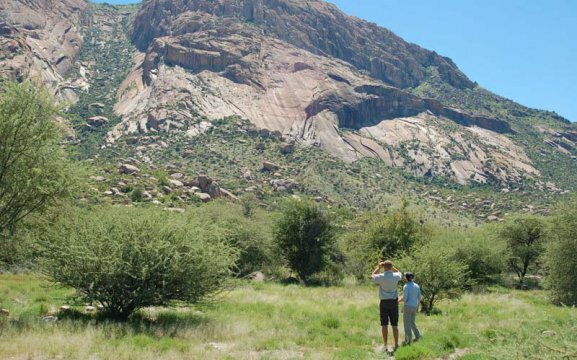 Hohenstein Lodge Absolute Erongo offer a two-day hiking adventure – from a comfortable lodge to a romantic night in the African Wilderness. Day 1: Guests are welcomed with a refreshing drink at Hohenstein Lodge. 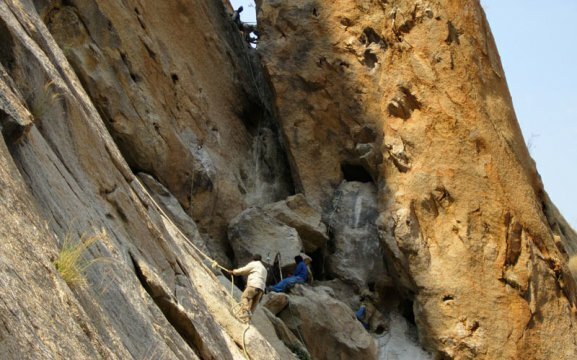 The afternoon excursion takes you to the “Boulder Forest”, characterised by spectacular rock formations. On the steep mountain slopes, semi-precious stones like Tourmalines, Mountain Crystal and Aquamarines are found. You are given a glimpse into the work and life of the small miners, working on the slopes and hoping for the one big find. 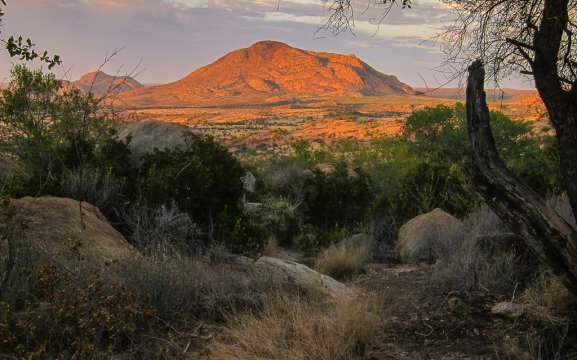 Visit the beautiful Spitzkoppe mountain and have a 3-course dinner. Day 2: Journey to Etemba. Etemba has hosted guests from as early as 1960. 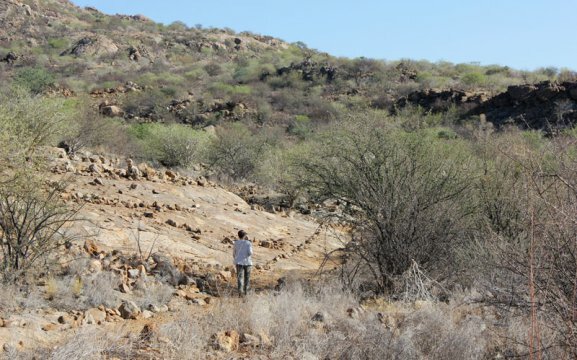 A spectacular landscape has evolved between the peaks of the Erongo Mountain Range and the Omaruru. 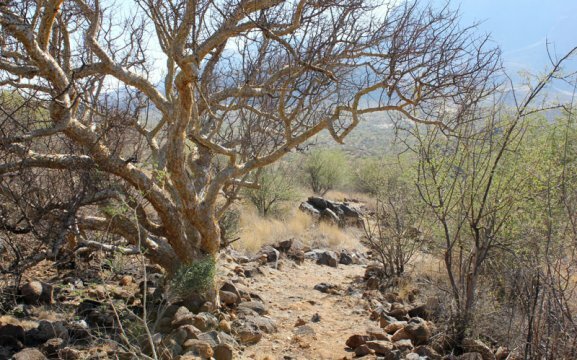 Hiking trails to the famous bushmen paintings. 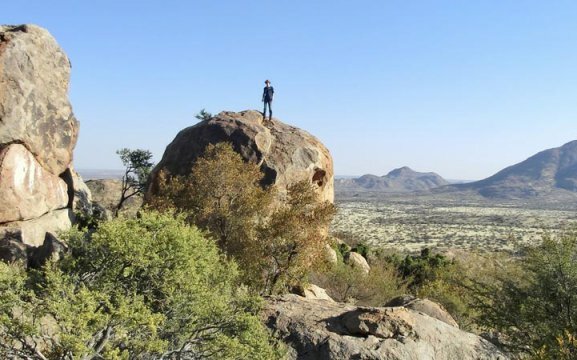 Evening braai in the spectacular setting of the camp, amidst gigantic rock boulders. 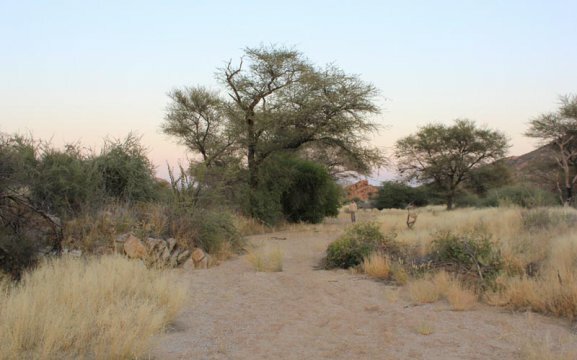 On the hiking trails, guests will see springbok, oryx, red hartebeest and baboons.